All who knew Barb Brief would agree that she was an extraordinary woman to know and love. She was one of the most hardworking people around, and everything she did was focused on serving others in ways both great and small. 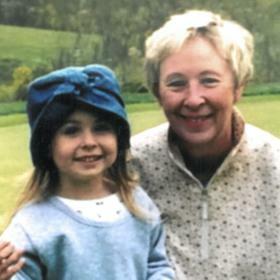 A more loving and devoted wife and mother would be hard to find, and Barb was filled with unspeakable joy to become a grandmother later in life. Times spent with family were the moments she treasured most, and she had a way of making every person feel as though they were the most important person in the world. Life will never be the same without Barb here, but she leaves behind a timeless legacy that her loved ones will proudly carry on in her footsteps.  Life during the 1930s was primarily defined by the hardship of the Great Depression. With few jobs and a soaring unemployment rate there were few who didn’t feel the stress and strain of the time. Despite the trials around them, Alfred and Cecilia (Long) Largent were able to shift their attention to an exciting time in their own lives as they announced the birth of the baby girl they named Barbara Lee on October 6, 1939. Not to be forgotten during Barb’s younger years was her introduction to the young man who would forever hold the key to her heart. His name was Jerry Brief, and they met at a party. They went to see a movie on their first official date, and sparks flew right from the start. 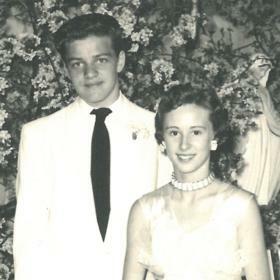 After eight years of dating, the sweethearts were married on September 5, 1964, at St. Francis Church. As young newlyweds, Jerry transferred from Northern Michigan to Western Michigan University while Barb was a secretary at an insurance agency. Jerry graduated in 1966. Both Barb and Jerry were eager to start a family. In 1967 they welcomed their son, Brad, into their hearts and home, and in 1971 their family was completed with Shannon’s birth. Barb has been described as the best mother in the world, and she was involved in all her children’s activities. Since their home was next to the ball field, it was often the place to be. Of course Barb always had all the bats out for them. She also saw to it that everyone was well fed with seconds or even thirds before she ate anything herself. Barb made the most amazing breakfast, and she was there after school to help with homework if needed. She was there for Shannon’s piano and dance as well as Brad’s hockey and baseball. She was a knowledgeable and avid sports fan who never missed one of her kids games and also was an active “Team Mom” in baseball. Barb was also loved by all the neighborhood kids and also volunteered at school. She was all about making memories, and she always wanted to take pictures. Their family made amazing memories at a cottage they rented up North, but she also just made all the little things extraordinary. As her family grew, Barb couldn’t have been happier. She loved being a grandmother to Sydney, Bryce, Nolan and Ethan and was a significant part of her grandchildren’s lives. Barb was there for all of her grandchildren’s sports and activities, which was something they all appreciated. She had a special relationship with all four of her grandchildren, and she was game for anything whether it was Nerf wars, playing with Legos, or just getting down on the floor and playing with them. One of Barb’s favorite things was hosting her grandkids for summer afternoons at the swimming pool, where she always knew each grandchild’s favorite snack and had it ready and waiting. Barb and her daughter were best friends who were always together and were known to take weekend shopping trips together. She was also extremely close to her son, talking to him nearly every day and joining his family on trips to Yosemite National Park in addition to vacationing together on Lake Michigan. And she loved her daughter in law Patricia and son in law Jerry like her own children, often remarking what a perfect fit they were for her kids and how blessed she was to have them as part of her family. She was there for all of the family’s moments including the good and the bad, and because of Barb theirs was a close family. She was a fantastic cook and had some special dishes that she often made for the grandkids. Throughout her life Barb was always on the go. They had a great group of friends they hung around with at their condo in Sarasota where they spent the winter for the past 15 years. Barb and Jerry were very social there, and she was the life of the party wherever they went. Together the couple also spent three weeks in Europe, visited Alaska, and took a Caribbean cruise. Barb did work in the insurance industry for several years, but it was always just part-time as her primary focus was on being a wife and mother. 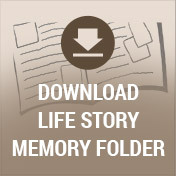 She was an avid reader who read at least a book a week from the library. Barb enjoyed fiction and loved a book with a happy ending. She also liked music from the fifties and sixties as well as a good movie. Barb loved having family nights with a fire in the fireplace and a good movie or two that they all watched on the pullout couch. A great planner, she made sure they took memorable vacations whether they traveled far away or stayed closer to home. Barb always wanted everything to be magical, and she loved old traditions as well as making new ones. She taught others so much about what it means to be selfless, and she also reminded her loved ones to treat others as they would want to be treated. Barb ran the house and knew how to cut corners without her kids ever feeling like they had nothing. Truly beautiful on the inside and out, no one met Barbara Brief and left unchanged. She touched the lives of everyone she met and had a positive outlook that radiated to all who were near. 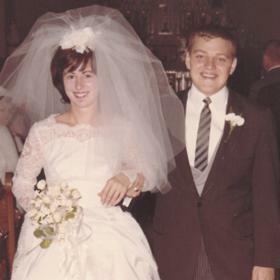 Together Barb and her husband of 53 years exemplified what marriage is truly intended to be, and she was a loving, devoted, and nurturing mother who made it her lifelong mission to show her children and grandchildren how much each one was uniquely loved. Deeply loved, she will be forever missed. 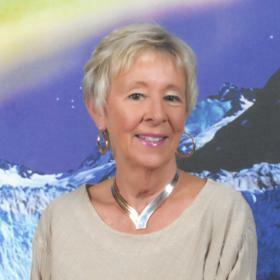 Barbara L. Brief, of Portage, died unexpectedly on October 31, 2017. Barb’s family includes her husband, Jerry Brief; 2 children: Brad (Patricia) Brief and Shannon (Jerry) Czaja; 4 grandchildren: Sydney and Bryce Brief and Nolan and Ethan Czaja; 3 sisters: Theresa (Jerry) Kuhlman, Joan Thayer and Janet Blake and many nieces and nephews. Barb was preceded in death by 3 brothers: Alfred, Jr., James and Thomas Largent. Visit with family and friends while sharing food and refreshments on Tuesday from 4-7 p.m. at the Betzler Life Story Funeral Home, 6080 Stadium Dr. Kalamazoo (269) 375-2900. Mass of Christian Burial will be celebrated Wednesday 11 a.m. at St. Catherine of Siena Church followed by a luncheon in the church hall. Private interment will take place at Oakwood Cemetery, Traverse City. 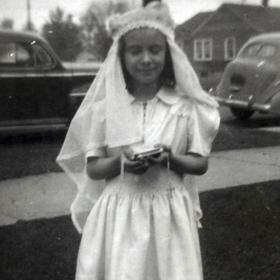 Please visit Barb’s personal web page at www.betzlerfuneralhome.com, where you can archive a favorite memory or photo and sign her online guestbook before coming to the funeral home. Memorial contributions may be made to FARE (Food Allergy Research & Education).